Setting up regular international payments is easy and can save you time and money. 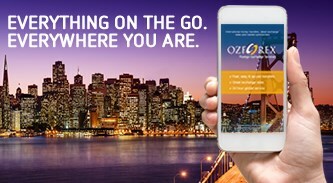 The OzForex Pre-Paid Travel Card closed on 30 November 2015. We offer our corporate clients excellent exchange rates, fee-free dealing and great 24-hour service. 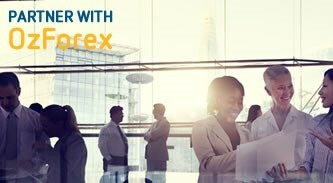 We help our corporate customers reduce costs and manage FX risk more effectively. Our high-technology dealing platform and dedicated FX dealers offer a tailored and proactive service. Visiting the branch for an international money transfer isn’t always convenient. Whether it's your geographical location, lack of time, having to leave home or office only to have to wait in queues. Free online currency converter featuring over 50 currencies. Compare up to 5 pairs of exchange rates. Get free charts, news and commentary. Long term charts, seasonal patterns, raw data, period average exchange rates. View up to date spot exchange rates and charts for major currency pairs. The latest currency market news brought to you by Reuters. Our latest foreign exchange market updates from the dealing room. Guide on how long your funds will take to arrive when using OzForex. OzForex holds an Australian Financial Services Licence (AFSL) issued by ASIC. Since its launch in 1998, the OzForex Group has grown to be one of the world’s largest online foreign exchange companies. About our regulatory and legal environment. Announcements made by OzForex to the Australian Securities Exchange. Partnering with OzForex can help you to increase revenue, build your brand and expand your reach. ● Book your international money transfers in 3 simple steps. ● Track your transfers at every stage of the process. ● Manage contacts, add new beneficiaries and rebook deals. Join the thousands of others who like to keep their international money transfers moving! More Near real time rates - Not to be used for trading purposes. International money transfers at better rates than the banks. How do I sign-up and make a transfer? What information will be provided to me during the transfer?